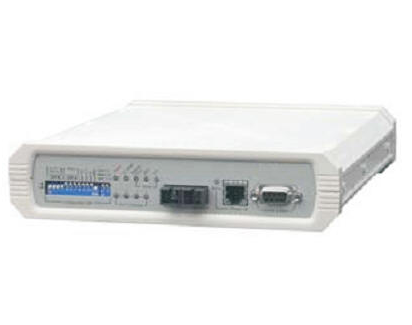 The Data Quadfiber-E is a 1U half 19” standalone or rack mountable E1 Extender featuring a point-to-point multiplexer for 4*E1 or 4*T1 (selectable) transmissions over single fiber optic link. Its half-rack format makes it ideal low cost multiplexing applications that require up to 4-channel. All channels provide completely transparent transmission of E1 or T1 regardless of frame mode, clock source or timeslot assignment. Available in either AC or DC models, the AC supplies operate from 100-240VAC while DC supplies operate from 18-72VDC. A wide range of transceiver selection provides fiber connection with SC, FC or ST type connection in multimode or single mode and distance from 2 to 120km as well as BiDi (single fiber) at distances of 20, 40, 60, or 80km. 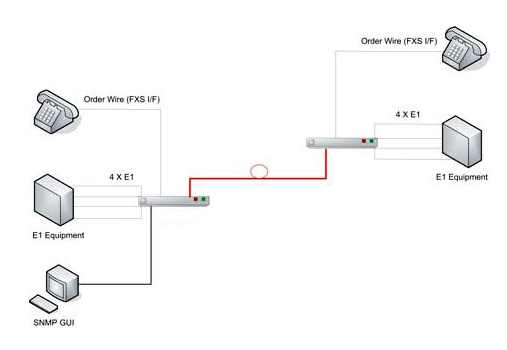 Additional options include “Order Wire” phone connection (FXS port) and a SNMP management.